The Animal Rescue League of Iowa is asking for the public’s help after an emaciated dog was rescued from a dumpster. According the ARL, the dog weighed just four pounds, had zero body fat, hair loss, and fur stained from being caged for a long time in his own filth. The dog, which the ARL named Oscar, was found in a dumpster in Des Moines and it appeared he was thrown in the trash pile in his kennel. 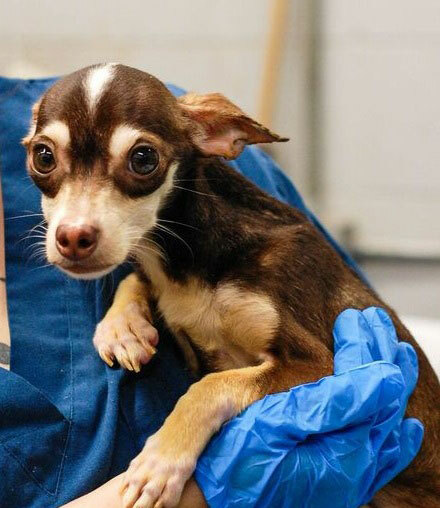 ARL officials are asking for donations to help in Oscar’s recovery and they’re hoping people can help them identify the person(s) who discarded the dog in the dumpster.